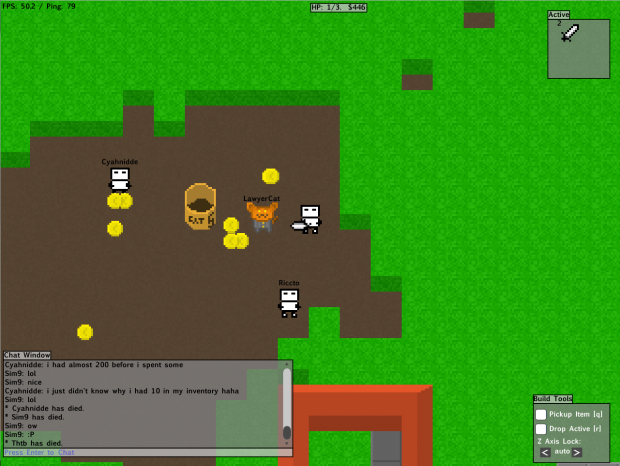 8BitMMO is an 8bit-style 2D massively multiplayer game! Fight evil Lawyercats and engage in player vs player battle. Build a home or a castle in a persistent streaming world. Early in development, but fully playable.